Petratherm is committed to the exploration and development of emission free, geothermal energy projects that are commercially sustainable. 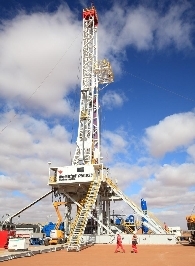 Petratherm Limited is a leading explorer and developer of geothermal energy based in Adelaide. The Company was listed on the Australian Stock Exchange in 2004 (ASX Code: PTR) and is actively involved in projects in Australia, Spain and China. Petratherm aims to develop a portfolio of quality geothermal energy projects using both conventional and engineered geothermal systems (EGS) for power and heat. The company will target projects where there is a favorable combination of geology and market conditions and introduce joint venture partners with the skills, appetite and funding ability to further develop projects through to production. تقرير الأنشطة الآسيوية ليوم 19 يوليو، 2011: شركة Petratherm تكمل عمليات حث للصدوع الصخرية في موقع Paralana. تقرير الأنشطة الآسيوية يذكر شركات Petratherm، و Beach Energy، و TRUenergy، و Clark Oil and Gas، و C @ Limited، و Renaissance Uranium. و يشير كذلك إلى Investorium.tv ويب كاست Webcast المتوقع في مجال الطاقة. 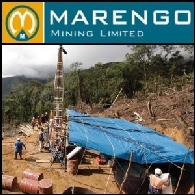 تقرير السوق الاسترالية ليوم 18 تشرين اول/اكتوبر،2010 يشمل ما يلي: وقعت شركة Marengo Mining ASX:MGO مذكرة تفاهم MOU مع شركة China NFC SHE:000758 الصينية لاستخراج النحاس والموليبدينوم والذهب في بابوا غينيا الجديدة Papua New Guinea. بدأت شركة Tap Oil Limited ASX:TAP المحدودة عمليات الحفر في البئر النفطي التجريبي Manora-4 في تايلند. اعلنت شركة Encounter Resources Limited ASX:ENR عن اكتشاف قاطع من خامات النحاس ذي اعلى درجة من نسبة النحاس في غرب استراليا حتى الان. تنوي شركة Petratherm Limited ASX:PTR البدء في العمل في مشروع استغلال الطاقة الحرارية الجوفية Geothermal لاغراض التدفئة بحجم 8 ميغاوات في اسبانيا.